Tuesday 5th December 2017, London, England. “These new electric taxis are at the forefront of green transport technology and will play a transformational role in the Mayor’s plan to phase out diesel and clean up the transport network. This will help to accelerate improvements to London's toxic air. “It’s great to have the first electric taxis on London’s streets and a testament to London’s leadership and that of LEVC. I look forward to seeing many more taxis on London's street in the coming months”. This landmark moment was celebrated at Circus West Village, the first phase of the Battersea Power Station regeneration, which is now open. 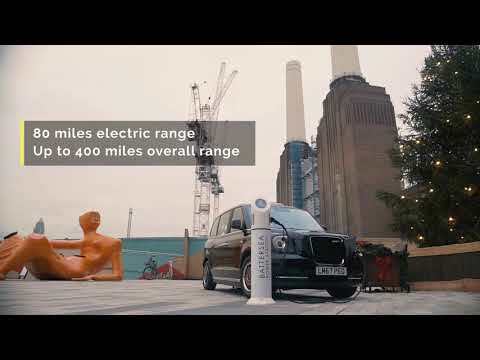 The entire site has been designed to futureproof for a mass adoption of electric vehicles with the infrastructure for almost 1,000 electric charging points planned and the flexibility to increase that. The first 57 charging points are now available for use at Circus West Village. The Grade II* listed Power Station building and its surrounding areas is being transformed into a community of homes, shops, offices, restaurants and public space - a vibrant, new town centre for Londoners. Like the TX, both icons blend old and new and are being redesigned for 21st century living, and have a major role to play in the future London landscape.